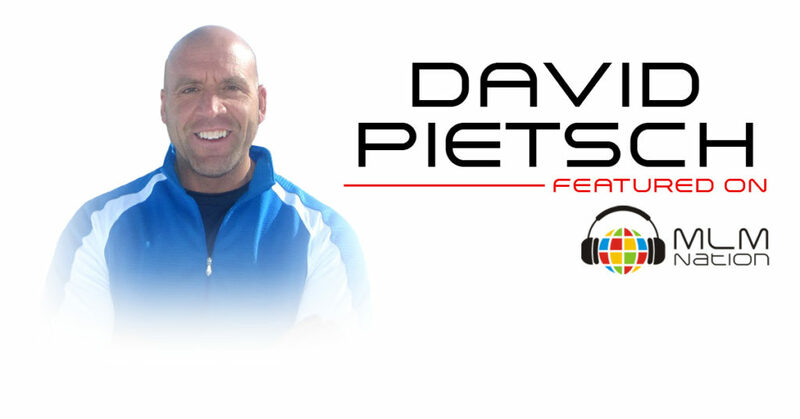 David Pietsch has seen first hand, the rewards of determination and sticking with a long term vision. He stresses the importance of not falling for instant gratification. Instead, focus on building your network and investing time in yourself to become influential and successful. Another tool he used to build success was to look to those who were more successful than him and to make it a goal to surpass them. David shares when network marketing was difficult for him, and how his mentors and determination helped me turn things around. He also spent time developing a thick skin and getting used to rejection and a mission statement which he depended on in the tough moments. David Pietsch was a chiropractor for 10 years in Minnesota and had built a very large clinic when he was introduced to network marketing. After normal business hours, David would then do presentations to live audiences of 50 to 100 people. He did this for 1000 nights in a row, which is about three years! Dave became the fastest person in his company in the USA to hit the highest rank and he hit the highest rank twice. He’s been a 7 figure a year earner for the last six years and has earned over $10 million in lifetime commissions. And he’s got some real NO BS advice for you all; it’s time to TOUGHEN UP!!! Get up and read, early in the morning. Trust God. God is in control. If I can’t meet with them face to face, then it’s Zoom. It’s more personal.